Are you planning to sell without a realtor? This isn’t difficult if you have carried out a similar exercise before and can handle advertising, staging, marketing, etc. But many haven’t tried this before! 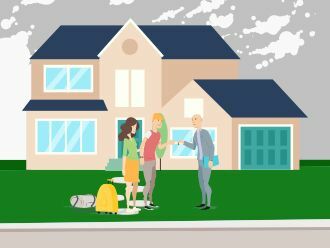 Homeowners who want to sell their home without professional help should be patient and follow the below advice to sell their home as successfully as a realtor would. Putting up a “For Sale” sign in your yard will not be as effective as listing it on popular property sales websites and local newspapers. As the space for classified listings is limited, you have to make the advertisement as interesting and crisp as possible by highlighting its positive features like location, space, natural light, air, etc. Details about the age of house, ownership, and price can be discussed when a prospective buyer calls for further details. Finding the worth of a home is easy now because of websites like realtor.com and zillow.com. You can use them to understand similar listings in your neighborhood. If the house requires major repairs, reducing its market price can help make it a quicker sale. After the housing crisis, banks have become very cautious about lending money. Seek legal help during the closing process and ensure that the buyer has a pre-approved mortgage to buy your property. Do not hand over the original papers of your property without a legal representative that is experienced in the process and has your interests in mind. While selling your Milwaukee home without a realtor is possible, the process is long and time-consuming, which may test your patience. Another option, though, is to sell your house to us! We’re cash home buyers offering to help people looking to sell without a realtor!